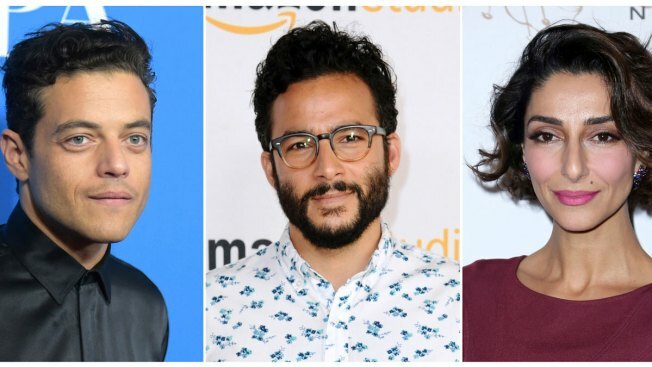 Actors and characters of Middle Eastern and North African descent are either ignored by TV or stereotyped, according to a new study. The few such actors who get work are largely confined to playing tyrants and terrorists, said the university-funded study released Monday. One percent of regularly seen TV series actors have roots in countries including Egypt, Turkey and Israel. But estimates show about 3 percent of the U.S. population, 10 million people, are from the region, said the study's lead author, Biola University associate professor Nancy Wang Yuen. Researchers who examined 242 scripted prime-time series on broadcast, cable and streaming during the 2015-16 season found that between 90 percent and 97 percent had no characters of Middle Eastern or North African ethnicity. When those characters do appear, 78 percent are tyrants or trained terrorists, agents or soldiers, the study said. Most speak with obvious foreign accents. Ninety percent of shows with such characters feature just one — with the now-ended "Tyrant," a drama set in the Middle East, among the exceptions. The study warned that such depictions can contribute to the rise of anti-Muslim, anti-immigrant sentiment in American society. Three instances were described as "exemplary" in the report: Iranian-American actress Necar Zadegan's portrayal of an attorney on Bravo's "Girlfriend's Guide to Divorce," the cyber-security engineer played by Egyptian-American (and Emmy-winning) actor Rami Malek on "Mr. Robot" and a tennis pro on Amazon's "Red Oaks" played by Turkish-American actor Ennis Esmer. "His ethnicity doesn't define the role, and he gets to be a full person aside from that, and in fact because of that," Esmer said of his character in a statement. The entertainment industry as a whole must seek change, the study said. It recommended steps including the hiring and mentoring of Middle East and North African actors, directors, executives and others. The study cited the work of actress Azita Ghanizada, who founded an advocacy coalition that successfully lobbied Hollywood guilds to include Middle East and North African performers in casting data reports. The study received funding from schools including Biola University in La Mirada, California; California State University Fullerton; and San Jose State University, along with CBS Entertainment Diversity.